A limited number of cable subscribers across the nation can now forget about signing in to endless apps with their cable provider credentials. 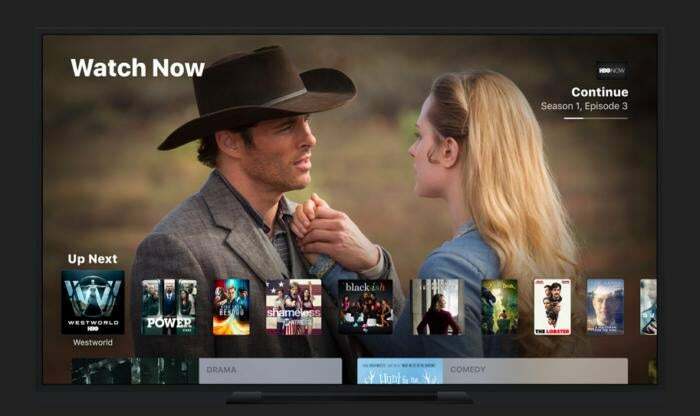 When Apple rolled out tvOS 10 in September we couldn’t help but notice that single sign-on—a feature that lets you enter your cable provider details once and then use them across multiple apps—didn’t make the cut. Apple promised that the new feature would land on Apple TV in December, and recently the company made good on its word. As first noticed by MacRumors, single sign-on is now available on the fourth-generation Apple TV and iOS 10 devices. The feature is only available for U.S. users, which is where the bulk of cable provider hassles exist anyway. At launch, only 10 cable providers support single sign-on including CenturyLink Prism, DirecTV, Dish, GVTC, GVA, Hawaiian Telecom, Hotwire, MetroCast, and Sling. That’s an admittedly paltry list lacking nearly every major pay TV provider save for DirecTV and Dish. But it’s still early days, and hopefully that list will bulk up over time. Why this matters: Not having to sign in to endless apps that want your cable credentials is just the first phase of Apple’s new feature. Single sign-on also makes it possible to integrate participating apps into Apple’s upcoming TV app. The TV app aims to be a universal guide of sorts for Apple TV and is kind of an extension of what Siri on Apple TV can already do. Instead of dipping in and out of endless apps, the TV app will bring as much available content as possible into one place. From there users can get recommendations and figure out what to watch. It’s a great idea, but we don’t expect to see a lot of big names integrate with the new feature. App makers do not like having their brands diluted inside umbrella apps and systems. That said, if any company can convince content providers to give up control it’s Apple.